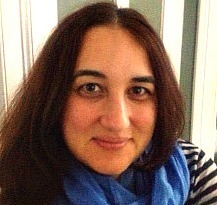 Meet Digital Sisterhood Leader Julie Diaz Asper, co-founder of GigCoin and Social Lens Research. Julie was named 2012 Digital Sister of the Year – Empirista. Fun Facts: Julie and Digital Sisterhood Network founder Ananda Leeke met during the She’s Geeky DC Unconference in 2009. They reconnected during the Latinos in Social Media (LATISM) DC conference later that year. 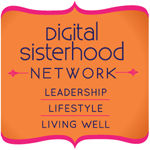 Julie has been a guest on Digital Sisterhood Radio several times. They attended several social media events together hosted by Blogalicious, BlogHer, DC Web Women, and Digital Capital Week. They are also neighbors in D.C. Ananda loves hanging out with Julie and her family, and is a huge fan of Julie’s Cuban cuisine! I started using social media in 2008. Social media has connected me to people who I would never have met in my everyday life. It helped me build up new skills and start a business. I have been able to do a little good too via community organizations and on my own businesses. I teamed up with a great group of Latinas to organize and host LATISM DC in 2009. I have been able to complete and recruit for research studies (1,000+) via social media. It’s a powerful tool! I think social media lets you experiment without a huge cost. You can test and iterate on social media in a way that is hard to do IRL (in real life). You can test out new messages, roles, and projects. It’s a huge lab to use and grow. I like to play a bit. It’s evolving. I am trying to get out their with my opinion more and be a thought leader. I try to advocate and do some good. It’s a process. You need to refresh what you are doing. Take a step back and think is this what I want to be known for? Be selective on what you work on and who you spend time with. The Social Lens Research launch is a good opportunity for me to blog more and get out there to share what I have learned. I want to create more content, mostly around research and data. Be thoughtful on what you create and share. Find your tribe and build a community. Create content to get to the next level.